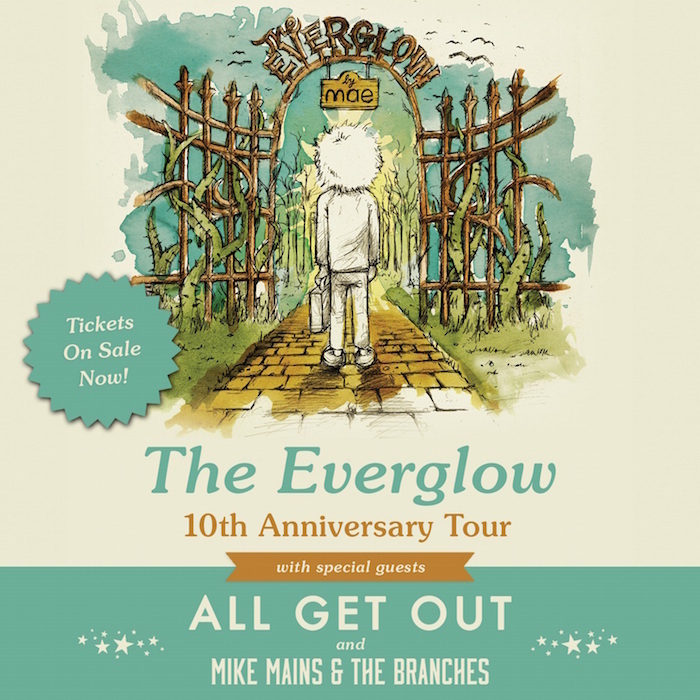 Mae is celebrating the 10 year anniversary of their seminal album The Everglow and will be bringing The Everglow 10th Anniversary Tour to cities across the US this Spring. Joining them will be two amazing bands, All Get Out and Mike Mains and the Branches. Download the tour sampler that features songs from all three bands and make your plans to catch the show when it comes through a town near you. Tickets and special VIP packages are on sale now at theeverglowtour.com.